A Band that hardly needs an introduction. They have attracted critical acclaim, winning a coveted BBC Lifetime Achievement Award; Radio 2 listeners voted Fairport’s ground-breaking album Liege & Lief, the most influential folk album of all time; and their story has been celebrated with a major documentary on BBC Four. Now in their 51st year and with a worldwide fanbase, they have a back catalogue to match anyone’s. The current line-up has been together for over 20 years. Founder member Simon Nicol (left), Gerry Conway, Ric Sanders, Dave Pegg and Chris Leslie. You could be forgiven for thinking at first listen that Sunjay is older than his 22 years. 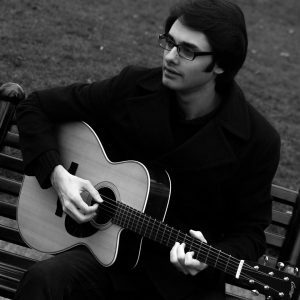 With a relaxed and confident manner, vocal style and mastery of his instrument he walks onto a stage and addresses the audienceas though he is sitting down to play music with a group of close friends; a completely natural approach for a young man who picked up the guitar when he wasjust 4 years old and hasn’t put it down since. camps have recognised his obvious flair. There have been a clutch of award nominations, including winning the Wath Festival Young Performers Award. He also made the final selection for the BBC’s Young Folk Award in 2012, had three nominations at the Exposure Music Awards 2014 and was also recognised by the 2014 British Blues Awards. Drawing from a rich, musical and cultural background it is hardly surprising that Sunjay has quickly become recognised as one of the UK’s rising stars. His performances have been described as “mature & confident”, while his guitar playing has been hailed as “superb, brilliant, experienced, intricate & faultless”. Sunjay clocked over a hundred tour dates in 2013 supporting the likes of Steeleye Span, Martin Simpson, Passenger, and Terry Reid. With three albums already to his name, (‘Seems So Real’ 2011, ‘One Night Only’ 2013 and ‘Sunjay’ 2014) Sunjay has just recorded his fourth release (“Black & Blues” released 30th November 2015). Phoebe was born on the eve of the millennium in Oxford. She started to sing as soon as she could talk and wrote her first song at the age of nine. The words and melodies of her songs flow with a naive and lyrical beauty and are mostly written at the piano (which she started to learn when she was five). She has just recently started learning the guitar so now she sometimes writes with that instead. Her voice has a compelling tone and she has astonishing breath control as well as an incredible range. Phoebe already has quite considerable experience as a session singer for adverts, TV shows and films both in choirs and as a soloist. She has appeared on stage in professional productions of Joseph And The Amazing Technicolour Dreamcoat,Chitty Chitty Bang Bang, and An Inspector Calls. 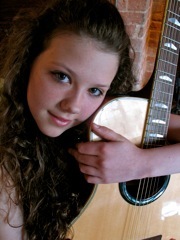 With a growing catalogue of over twenty songs she is now working on producing tracks for her first EP and looking forward to gigs at local events, pubs, clubs and schools in the summer and autumn. Her song (Let Me Feel) Your Love was inspired by a dream in which she was on stage at a festival holding the mic towards the audience for the chorus . . . this is where the dream begins. 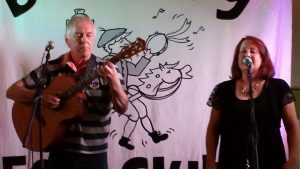 Paula & Stuart have been playing at Folk Clubs since the early ‘80s and have supported Banbury Folk Club and Festival for over 15 years, both as a Duo and more recently with their two daughters in their family band “The Tindalls”. 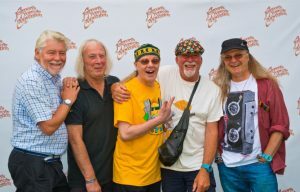 They have appeared at Clubs and Festivals across the UK and featured at the Cropredy Festival in 2010. Now that the girls have left home to pursue their own careers in art and music, Paula & Stuart are back to regularly performing as the original Duo, although they still perform as “The Tindalls” when the girls are available. On this occasion Paula & Stuart return to the Festival as a Duo, they having played this year at venues from Yorkshire to Cornwall. Their set features a mix of musical genres spanning traditional and contemporary acoustic folk , ragtime and more modern songs from original artists such as James Taylor, Carol King, Lindisfarne, Fairport Convention, Mary Black, Fleetwood Mac and more, as well as including some of their own original songs. Linda Watkins, Marian Wedley and Mark Niel. 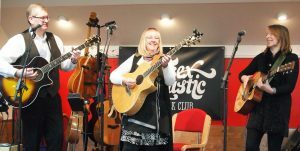 Linda, no stranger to her local folk circuit, is an experienced singer/songwriter and multi-instrumentalist with her music enjoying radio airplay on BBC and community radio stations. A woman with an immensely positive attitude, she commands her stage quickly building a great rapport with her audiences. From heart rending songs to light hearted anecdotes and a huge sense of fun, you are assured that entertainment is high on her agenda. Marian is a Buckinghamshire lass with a full catalogue of well written observational material covering subjects as diverse as the demise of the Ash tree to the working practices on a building site! She is adept at writing humorous pieces as well as commenting on more serious and hard-hitting issues. Her sweet and delicate vocals lend themselves to the subject matter of her songs in a way that draws the listener in from the first note. Mark has a true passion for the performing arts, gracing many a stage as songwriter, musician, actor and performance poet, making the transition to become a professional artist in 2012. His poetry has been heard on BBC Radios 2, 4 and Five Live and taken him to mainstream festivals such as Latitude, Green Man and Wychwood. A proud cultural ambassador for his hometown, Milton Keynes, Mark has served as their official Poet Laureate since 2011. Well-crafted songs, simply arranged but powerfully performed have always attracted his admiration, and he says he is delighted to be a member of Noah’s Cape! 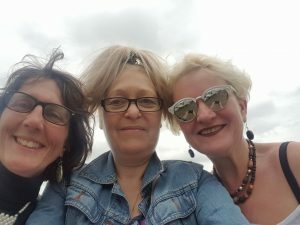 Three dedicated songwriters brought together by several twists of fate to bring you beautifully crafted songs; original, traditional, and contemporary with sumptuous harmonies and multi instrumental accompaniment.